STUPID. I mean really? All the others on the portables are isometric but then they dish out this crap. Crossover with crash or not, i hate this game more then enter the glitchyfly. They could of gave us something nice... And the music is ugly and all the character models. They should not of allowed vicarious visions to make this game. That developer is a developer of crap titles not to mention there parent company is craptavision (activision). Wow, hater of newer Spyro games, much? 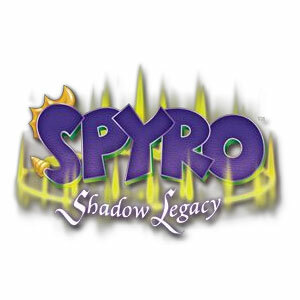 Everyone, we got yet another classic Spyro fantard. im not a fantard so um yea. Provoking other people intentionally or insulting them is not a good practice and such posts will be deleted. Responding to these posts is ill-advised especially if they worked on you, instead just report the post." ITS MY opinion. I will say whatever i want and you cant stop me. Too bad. Deal with it! Uh, yes, Pot, this is the Kettle here. You're black. Anyway... I played some this game and it wasn't that bad. Nothing to write home about, but it was mildly entertaining. You were flaming me, too, with that message you sent me. Aaaaand...you've been reported for attacking another user. Good job. He's been acting like that for a while now.. I haven't seen him act any other way so far.